If you’re over the usual holiday of driving, staying in a motel, the obligatory tourist attractions and tired kids, then rethink your next holiday plans. Try booking holiday cottages for your accommodation, and watch the whole family relax. For the busy mum, there are cottages available with enclosed gardens so you don’t have to worry about the kids wandering off – although some are equipped with games rooms, negating the need to roam. Fully fenced yards are also great for the family that travel with their pets, making it easier for furry family members to have their own safe place to play. So mum can take a break, too, there’s cooking facilities so the rest of the family can prepare meals and the laundry means you can pack less and wash as you go. If it’s a romantic weekend you’re planning, then choose from a seaside cottage replete with thatched roof and cosy restaurants close by. Take a virtual tour of the accommodation before you get there, to see if it’s to your liking. And surprise her with a welcome package on the pillow of chocolates and champagne, and a CD of her favourite songs. Maybe you need to celebrate and party hard – in that case a city cottage within walking distance to pubs and night life is ideal. Book a place big enough for several other friends and split the costs; being close to the action also means less in taxi fares after the big night out! 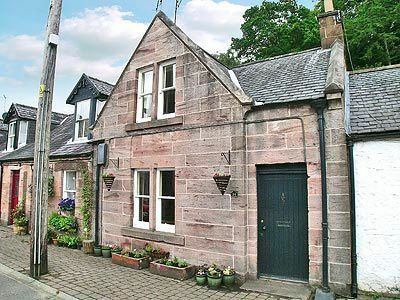 Larger holiday cottages are also perfect for family reunions. Get the entire family together and spend a weekend under the one roof – renew old relationships and form ones with the newest members of your family. Holiday cottages are the perfect way to combine the best of home living with holidaying – at a fraction of the cost.